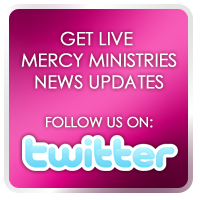 Mercy Ministries News: Nancy Alcorn Speaks at Joyce Meyer’s Love Life Women’s Conference THIS WEEKEND! Nancy Alcorn Speaks at Joyce Meyer’s Love Life Women’s Conference THIS WEEKEND! Founder and President of Mercy Ministries, Nancy Alcorn, is getting ready for an amazing weekend in St. Louis! First, Nancy will head to the St. Louis Mercy home to spend time with the girls and staff, and then it’s off to Joyce Meyer’s Love Life Women’s Conference where Nancy will be a featured speaker. Joyce is a longtime friend of Nancy’s and has been a generous supporter of Mercy for years. Joyce and her husband, Dave, were instrumental in opening our St. Louis Mercy home in 2005 by donating the property and funding the renovations on the house. They have continued to be generous monthly partners of Mercy Ministries over the years as well as helping spread awareness of the devastating issues young women in our country are facing. Our residents often tell us that they first heard about Mercy Ministries on one of Joyce’s programs. Nancy recently spoke with Joyce on her program, Enjoying Everyday Life, and shared many of the personal testimonies of young women who have had their lives transformed by the unconditional love of Christ while at Mercy. If you missed it, you can see the show anytime by clicking here. Nancy is so honored to be a part of this amazing conference, speaking alongside Joyce as well as popular Christian authors, John and Stasi Eldredge. Nancy’s dear friends, CeCe Winans and Israel Houghton, will be leading worship for the event. 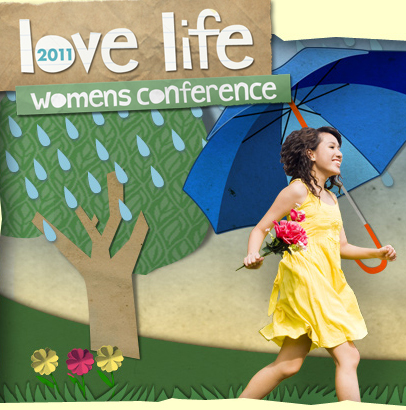 You can still register for the Love Life Women’s Conference by clicking here. Tune in next week for news and photos from this incredible life-changing weekend!